Poetry in America For Teachers is a semester-length professional development course designed specifically for secondary school educators interested in developing their expertise as readers and teachers of literature. In this course, available for professional development, undergraduate credit, or graduate credit, we will consider those American poets whose themes, forms, and voices have given expression to visions of the city since 1850. 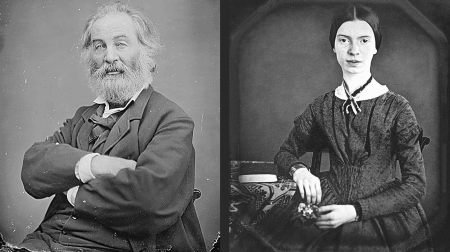 Beginning with Walt Whitman, the great poet of nineteenth-century New York, we will explore the diverse and ever-changing environment of the modern city – from Chicago to London, from San Francisco to Detroit – through the eyes of such poets as Carl Sandburg, Emma Lazarus, Edna St. Vincent Millay, Langston Hughes, Marianne Moore, Frank O’Hara, Gwendolyn Brooks, Allen Ginsberg, Robert Hayden, and Robert Pinsky, as well as contemporary hip-hop and spoken word artists. Poetry in America for Teachers will be offered for the Summer 2018 semester at a special rate of $200 at all credit levels. Deep study of the poems and poets on our syllabus will provide an opportunity to develop your expertise as a classroom educator. As you develop and practice advanced strategies for studying American poetry ourselves, you also will gain rich new resources for the classroom. This course will introduce content and techniques intended to help educators teach their students how to read texts of increasing complexity. The course will meet relevant educational standards for grades 6-12, including the Common Core State Standards. Making Observations, with a focus on such skills as gathering and drawing conclusions from textual evidence; noticing patterns; tracing the development of central ideas and themes; detecting shifts in voice, tone, and point of view; and drawing comparisons across texts. Understanding Structure and Form, with a focus on analyzing structural features and patterns, such as the relation of structural sub-units (the sentence, the stanza) to one another and the whole; and the impact of formal choice (rhymed couplet or free verse, sonnet or limerick, lyric or narrative) on a given text. Situating Texts in History, with a focus on analyzing the relation of authors and texts to particular cultural, historical, and geographical contexts. Enjoying Language, with a focus on cultivating the pleasure and fun of poetry in the classroom, and on analyzing the function of such elements as figurative language, word choice, sound, and imagery within a literary text. Learn and practice the course’s four approaches to reading a poem, which also can be applied to reading literary texts more broadly (see Program Objectives). Laying the foundation with Professor New’s video tutorials, the course encourages skills practice through a customized poetry annotation tool that enables you to create and share your own close readings. You will also have the opportunity to apply these skills through a final lesson planning and delivery project. Develop the art of literary conversation and grow as a facilitator of classroom discussion. Literary texts allow us to explore language and build critical thinking skills together, discussing and debating what we have read as a community of educators. Through video footage, you will observe facilitated poetry discussions featuring a wide range of participants – students, teachers, poets, musicians, actors, athletes, and others. You will also engage in conversation with your peers and course instructors through online discussion forums, where you will have the opportunity to apply the skills demonstrated in the course. Experience the power of place through video excursions to the actual sites where our poets lived and wrote. Together we will read Whitman’s “Crossing Brooklyn Ferry” while riding across the East River, consider Frank O’Hara’s “A Step Away From Them” in mid-town Manhattan, and compare Carl Sandburg’s Chicago of 1914 with Gwendolyn Brooks’ Chicago of the 1950s. The course is appropriate for educators at all stages of their teaching careers. No specialized scholarly knowledge of American poetry is required. Course participants are encouraged to enroll with fellow educators from their schools.